Cut it out! 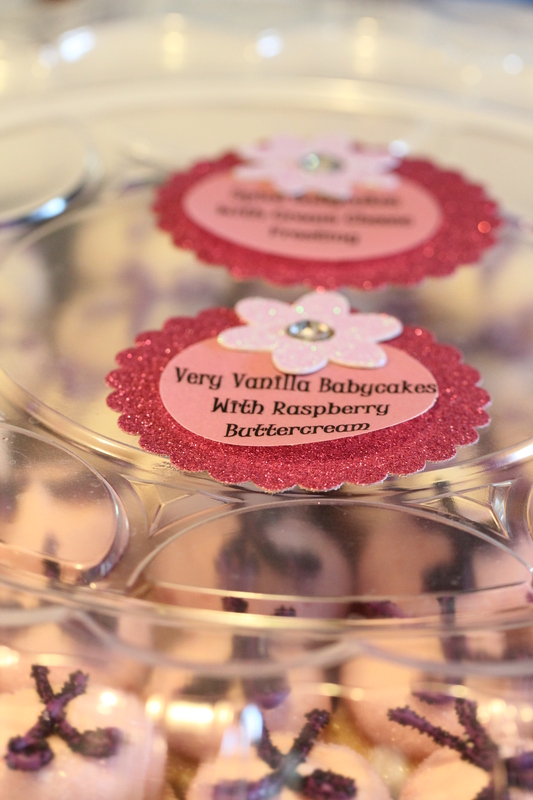 Miss Cupcake received one of her first sweet buffet orders! Exciting! 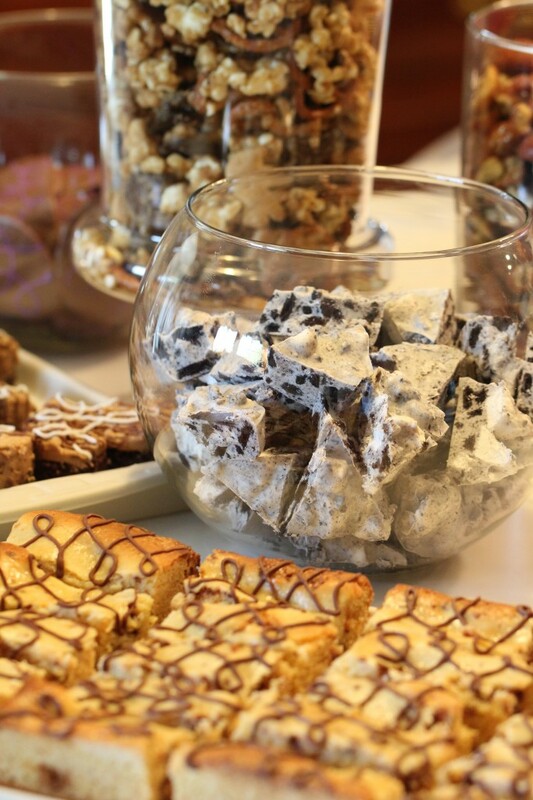 So exciting that the site has it’s very own Sweet Buffet tab. 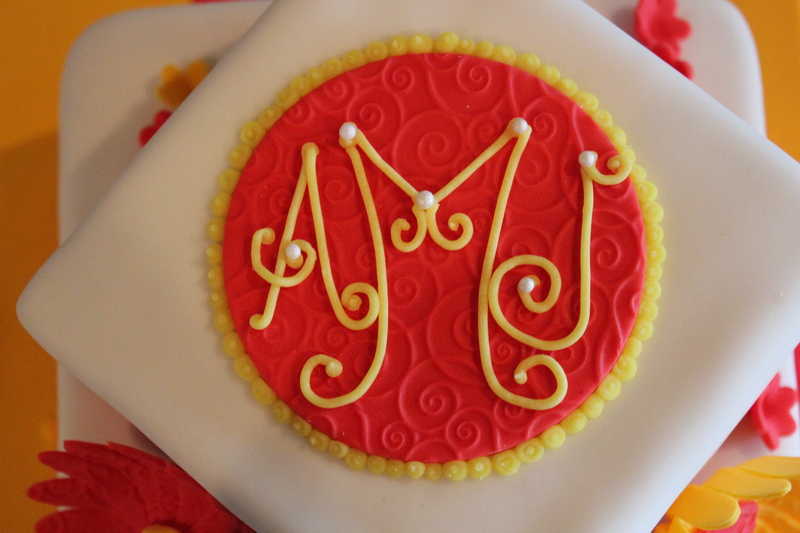 Do you need something exciting and new for your next party? 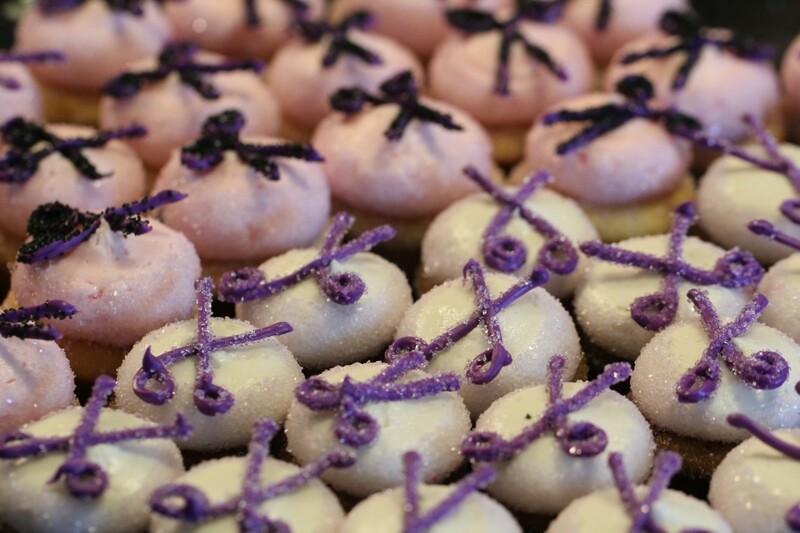 Why not try a Miss Cupcake sweet buffet? Personalized, tweaked, and tailored to your every need and desire! Check it out! Look, up there to the right. Click on the link! 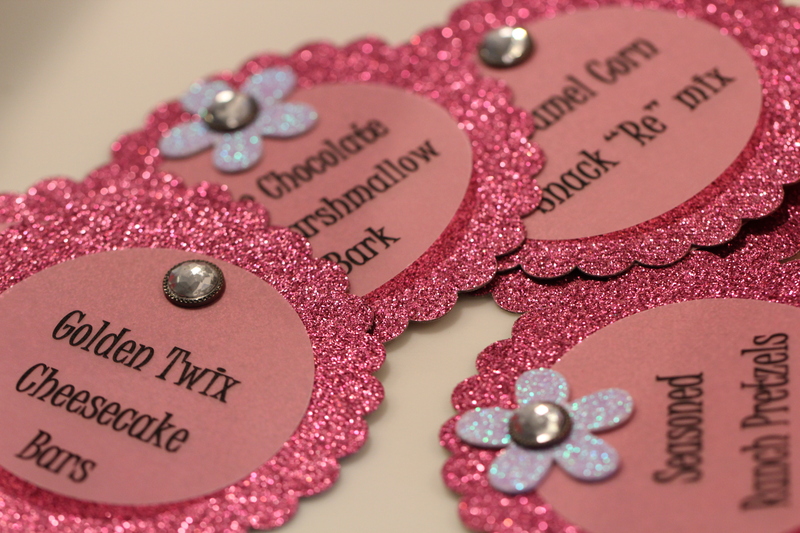 All sweet buffets come with custom made labels for your custom made sweets! 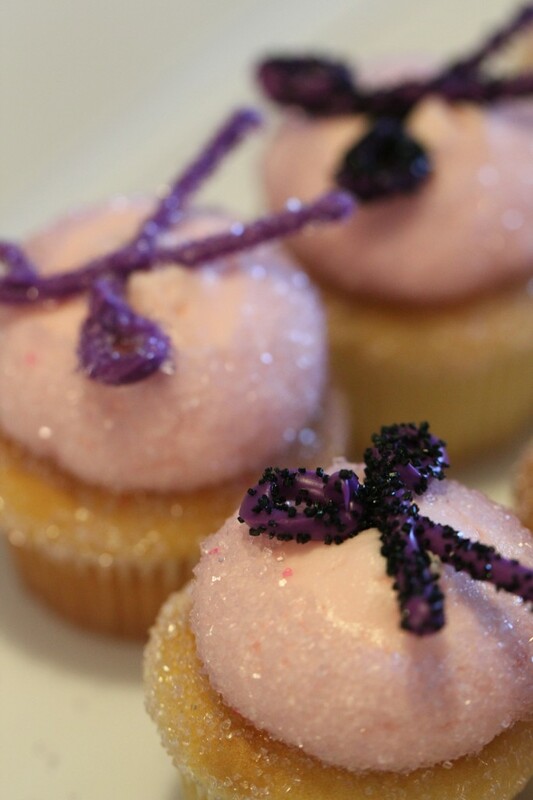 Pink and Purple were the stars of this Miss Cupcake Sweet Buffet. This buffet was customized for a pregnant bachelorette. 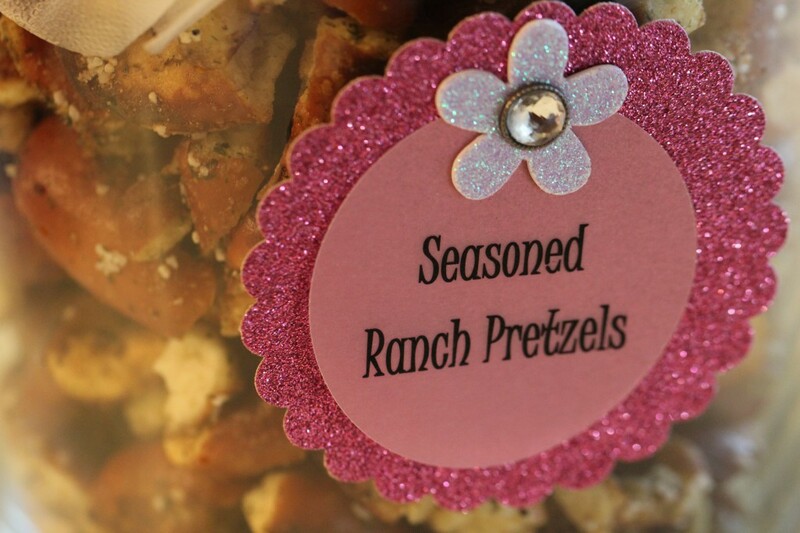 What better than a sweet and salty spread! Sorry, no chocolate covered pickles…maybe next time. NEW TREAT ALERT! Golden Twix Cheesecake Bars. 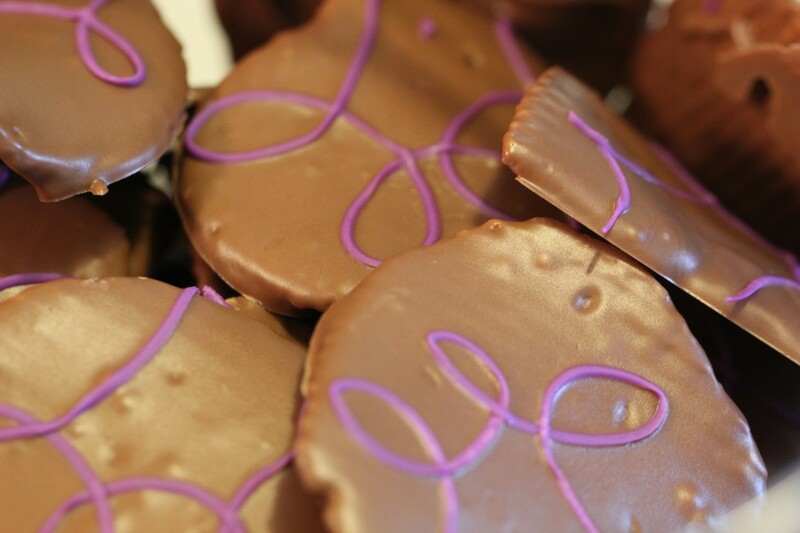 These guys have a delicious golden cake flavor with a hint of sweet Twix cheesecake delight! Want the recipe? Well…ok…since you asked me soo kindly! 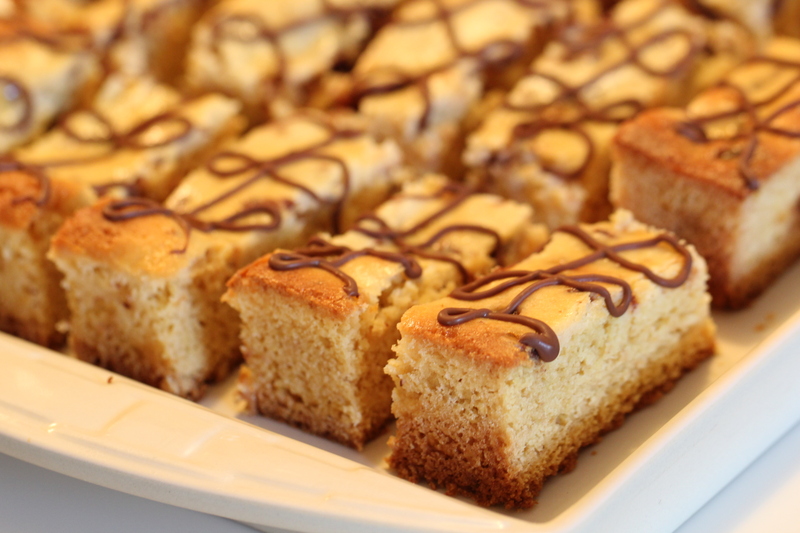 With an electric mixer, combine cake mix, water, softened butter, brown sugar, eggs, and half of the twix bars. Beat until smooth. Pat into the bottom of greased 9*13 pan, set aside. Combine cream cheese, sugar, vanilla, and rest of the twix bars. Pour over cake mixture. Bake for 30 minutes. Turn oven off, let pan rest in the oven with the door closed for about 15 minutes. The top should be light golden brown. Take out of oven and set on cooling rack. 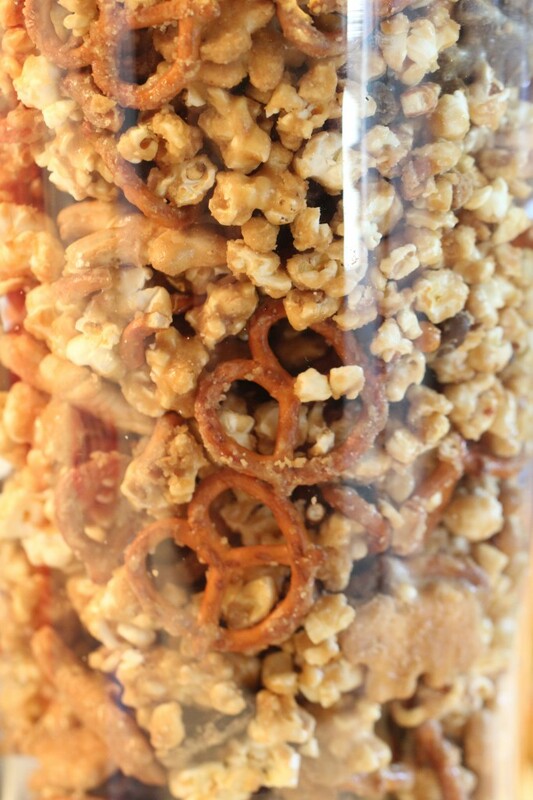 Once cool, cut into bars and enjoy! 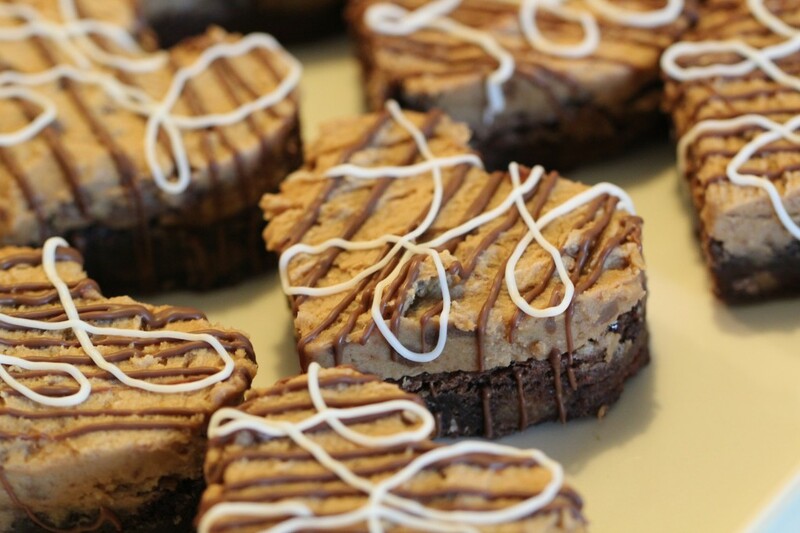 These are a hit at every gathering! I know you need this recipe. If you like peanut butter..watch out. These have a habit of blowing people’s minds. If it happens to you after making these bad boys..don’t tell me that I didn’t warn you. 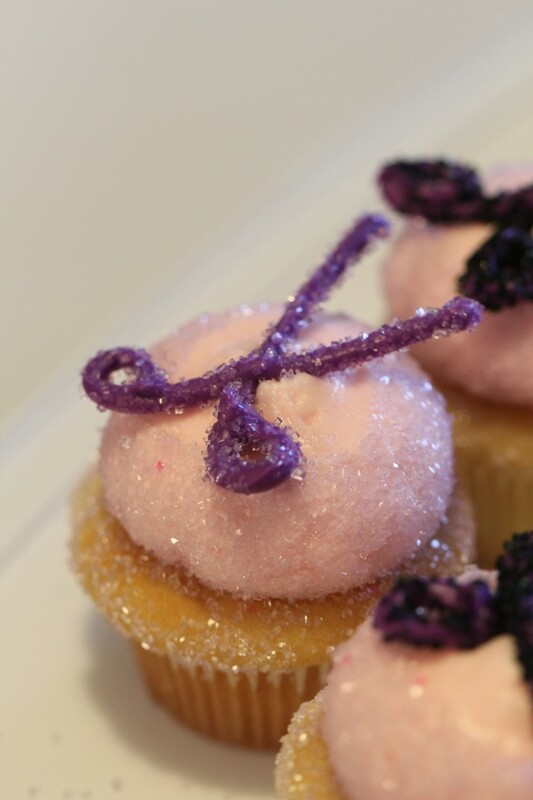 Check out the original Miss Cupcake recipe here. This recipe is super easy. 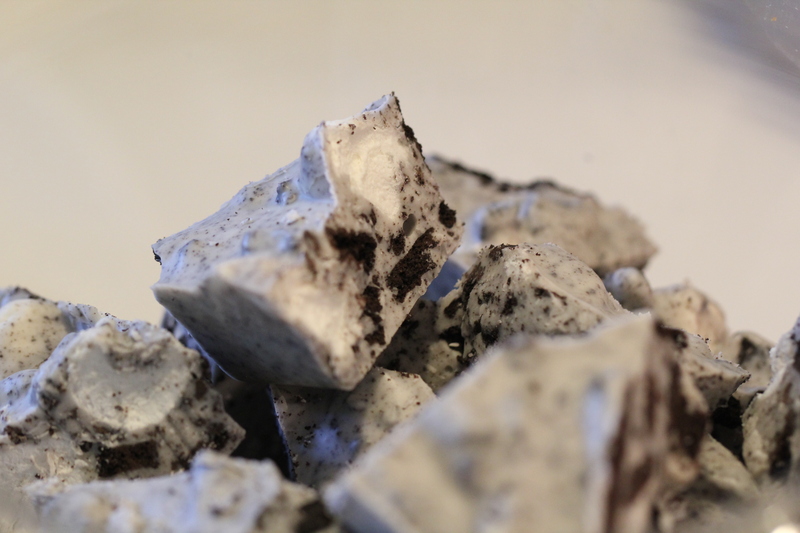 Combine melted white chocolate with chopped oreos and mini marshmallows. Pour into a nonstick pan and wait until cool. 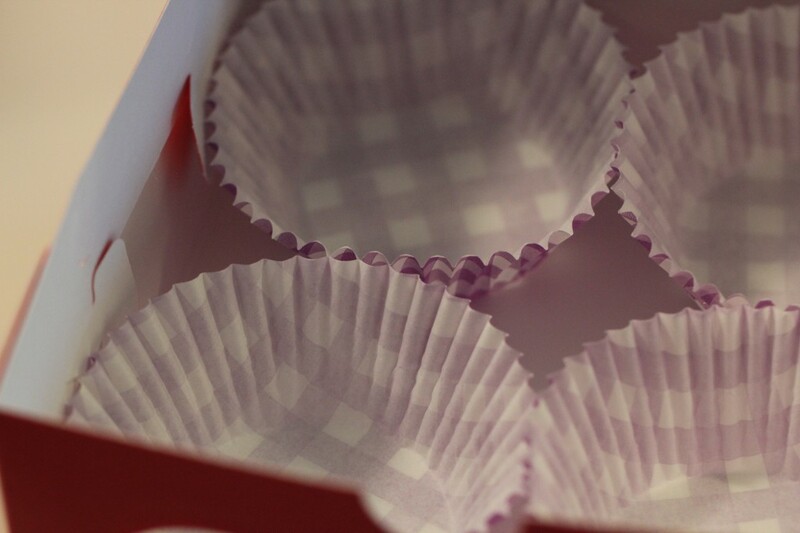 Once hardened, pop out of the pan and break into chunks. Viola! 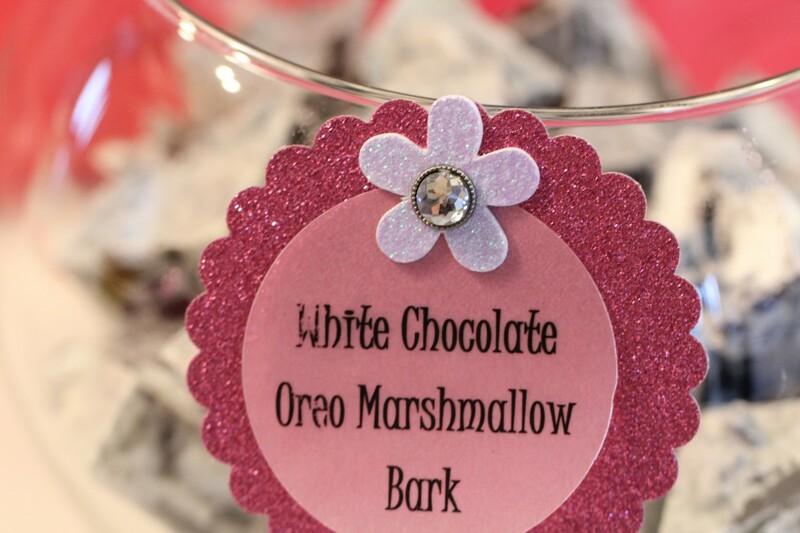 Oreo Marshmallow Bark! 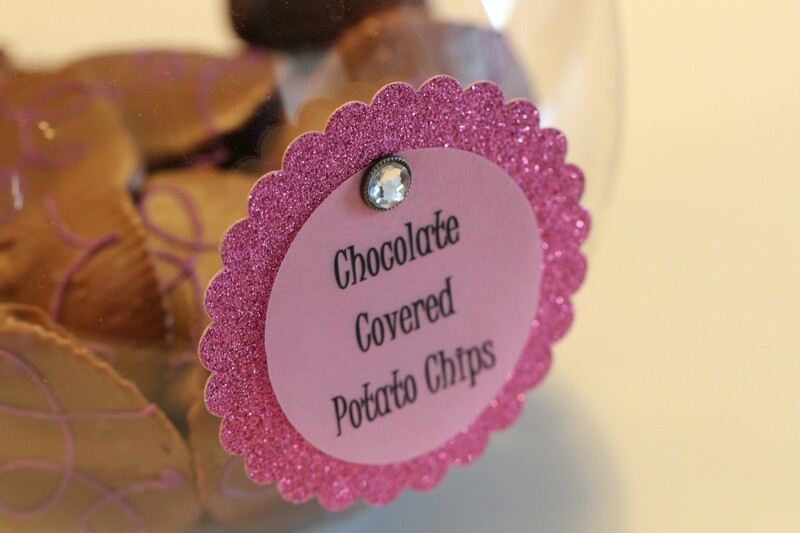 Chocolate covered potato chips, these are a sweet and salty lover’s delight. 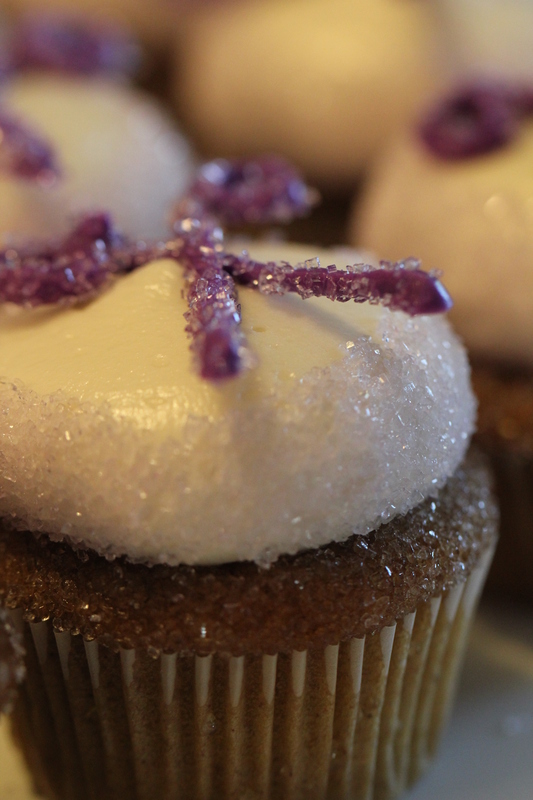 Purple chocolate drizzle to go with the theme colors..of course. 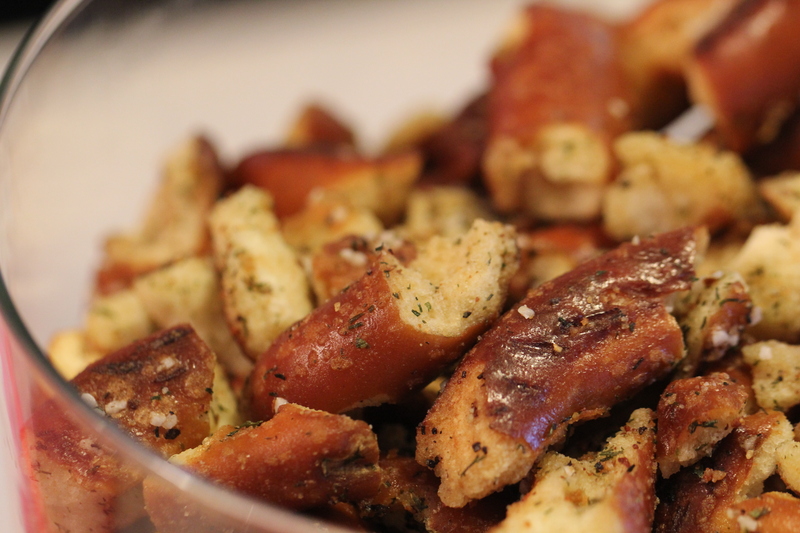 Seasoned ranch pretzels, oh yeah. Get my grandma’s recipe here. I’m warning you, these are highly addictive. These are way to good. Way. To. Good. Ohh yes. Kim Kim’s Caramel Corn meets rumble in the jungle. 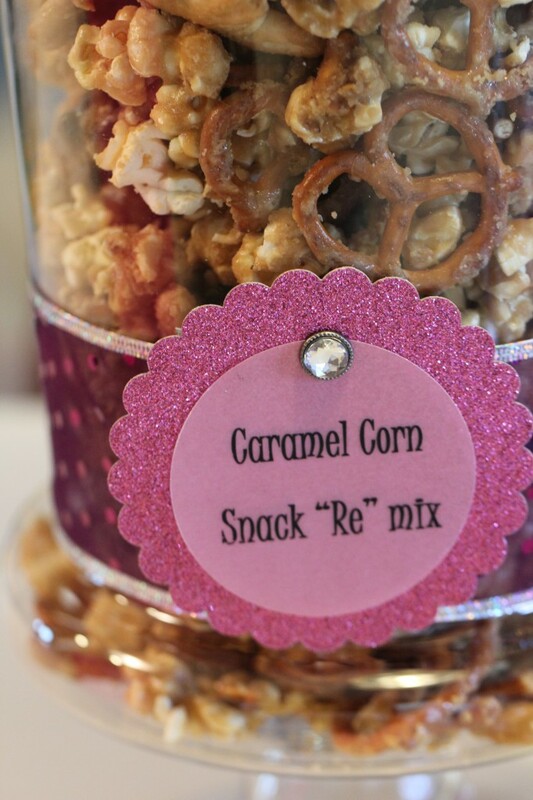 Add animal crackers and pretzels to this recipe and you have a sweet and salty snack mix worthy of any 8 month pregnant woman. Men, this is your hint. 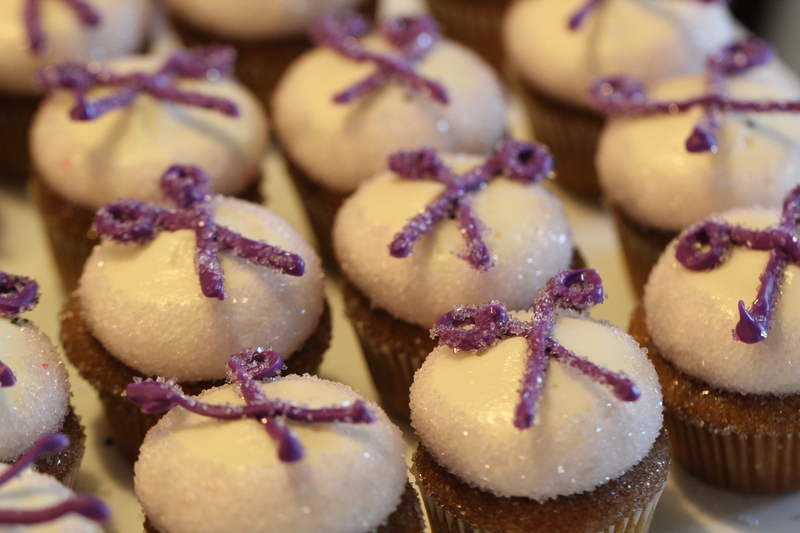 All of the sweet and salty treats ready to be taken to the party! 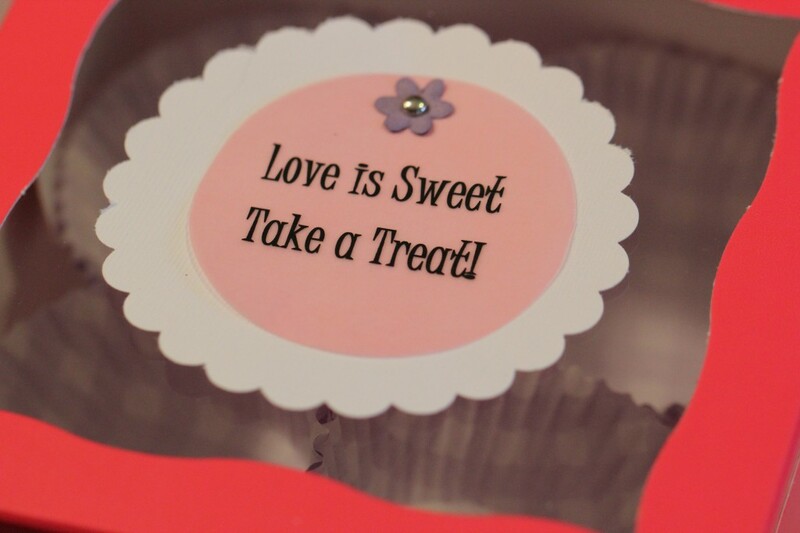 Included in your sweet buffet order are custom color and label adorned treat boxes or bags. I included cute purple cupcake liners as dividers! 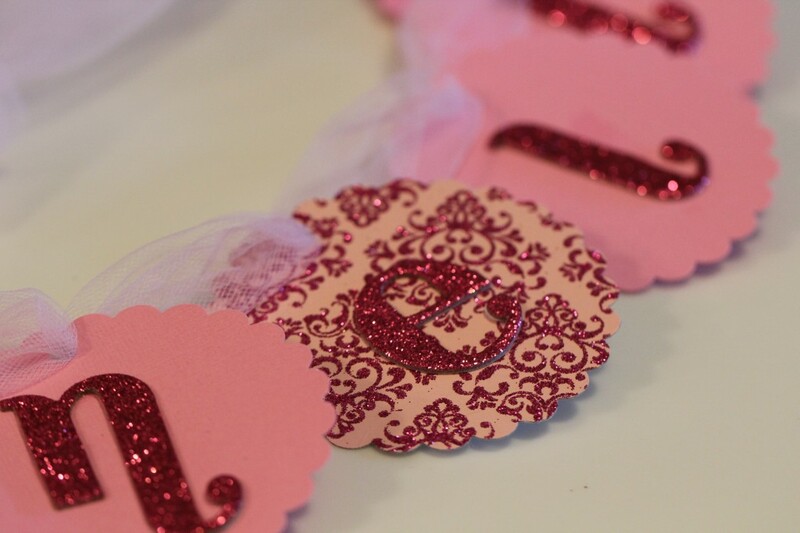 Last but not least, a custom made banner for the bachelorette. Now, my friends. I did not wish to scare you thinking that there were no cupcakes at this party! There were, so don’t be alarmed. Pumpkin Spice babycakes with cream cheese frosting. PS Pumpkin Spice is a new favorite with the Jared Bear. Here they are! 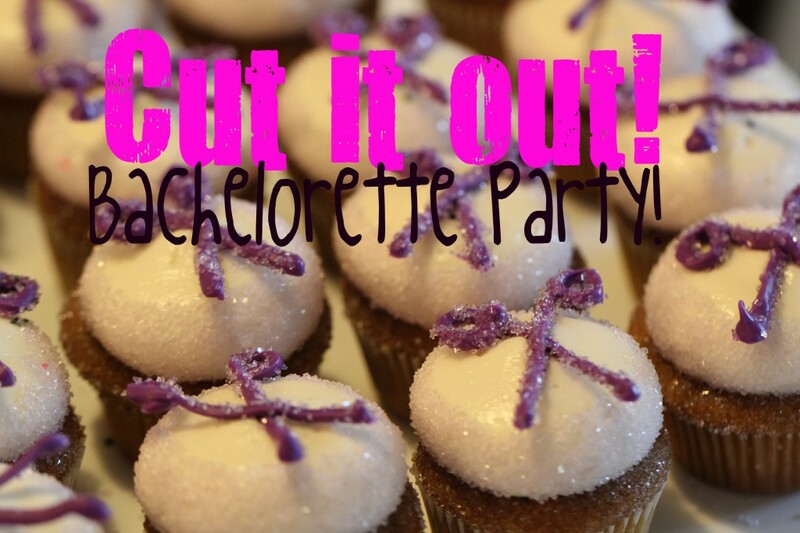 These are ready to snip their way into your next party!